Hey friends! I'm doing something a little different today & I hope you enjoy reading. 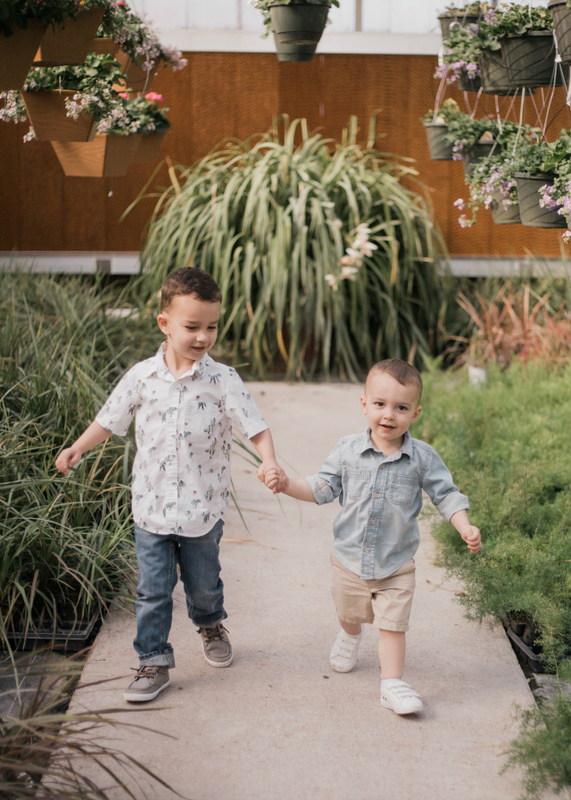 I've had a goal to document our experiences with Carson on the blog and so far I haven't been doing a great job with that! You can read the other posts I've written here, here & here. I want to share about this because I think people need to know. Understanding how Autism can look will hopefully help the world be more compassionate & loving toward those who are a little different! 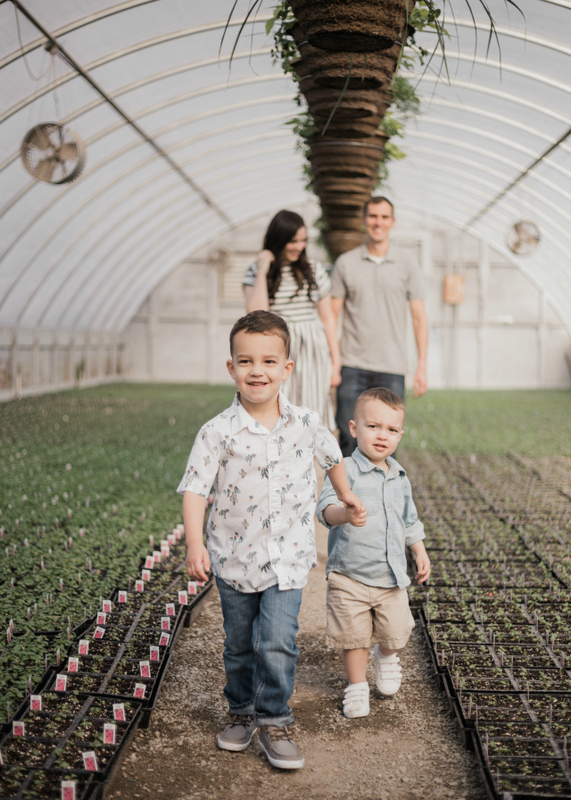 Autism is a huge spectrum of experiences and I want to share more about where Carson is on that spectrum. I think it's a disorder that's hard for people to understand because there are so many different manifestations of Autism and varying degrees of severity. It's confusing, even for me. I need to emphasize here that this is not what Autism is like for everyone. This is just Carson's experience & shouldn't be generalized as an experience for anyone else. Also, some of these behaviors aren't necessarily an indicator of Autism on their own. If you're concerned your child is showing symptoms of Autism, have them evaluated. This is what Autism looks like for us. Carson has delayed speech. This is the biggest indicator to everyone else that Carson is autistic! 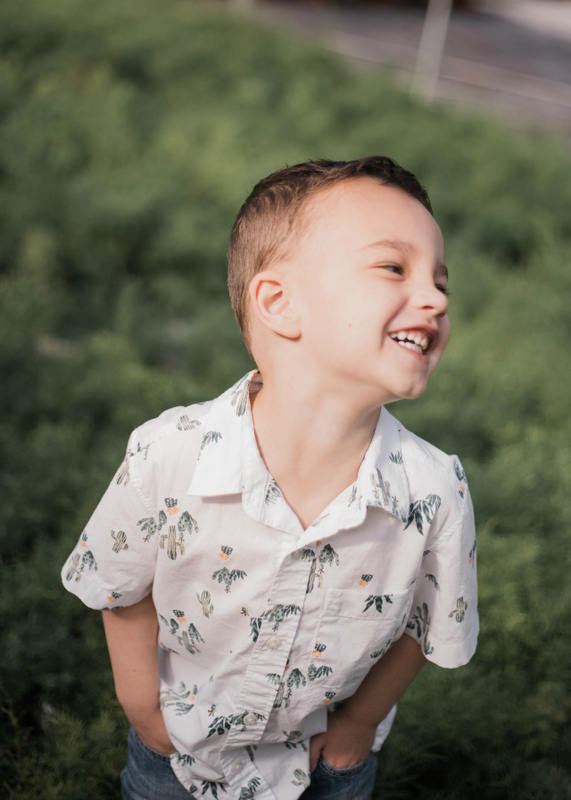 His speech is very similar developmentally to his brother, who is 2 (Carson is 4), so when he starts to talk people understand that there's something a little different or delayed about him. He doesn't understand pronouns or prepositions, and while he has a pretty big vocabulary, he doesn't often speak in sentences. He's come such a long way though... a year or so ago he could only use one-word phrases to communicate. He would say "water" when he was thirsty and now he says "I have water, pees?" when he wants me to fill up his cup! It's been incredible to watch his growth. Carson doesn't "catch on" to things. Everything he knows or understands, he has literally been taught. Kids his age are able to pick up behaviors on their own by watching or inferring, but Carson has to have it taught to him step by step. One example of this is drinking from a cup. He's just learned how to drink from a cup in the last 6 months after literally YEARS of us trying to teach him how! We had to show him exactly how to hold the cup, how to tip it just enough so that he can sip the water, but not so much that it will spill everywhere, and that he needs to hold his cup upright when he's not drinking. He was scared, nervous, unsure, and frustrated every time we tried to walk him through drinking out of a cup. But now he can do it! Some things he catches on to more quickly than others... he can memorize songs, numbers, letters, books etc. after hearing them a couple times. But there are a lot of things he just doesn't quite get and we spend a lot of time trying to help him understand. Carson goes into "sensory overload" A LOT. Have you ever been somewhere that was soooo loud & chaotic you wanted to go hide somewhere quiet just to feel calm? Carson gets this feeling frequently in situations that you or I wouldn't have any problem dealing with. At his preschool when they play the "clean up" song he covers his ears & cries because it's too much for him. He can't stand the sound of the blender or the vacuum, and church meetings on Sunday often because too overwhelming. His trigger is usually sound, but sensory triggers can be from anything and we honestly don't always know if he'll be set off by something or not. For example, we flew on a airplane cross country (which can get super loud & chaotic) and the trip didn't really bother him at all, but when we went to an indoor pool with a couple loud kids he lost his marbles. To combat this a little, we bring a pair of over ear headphones with us most places we go! This can block out extra noise & help him focus. When we go to church every Sunday, we bring his headphones & let him listen to classical music if he's feeling too overwhelmed. He also plays with fidget toys to allow him to focus on one thing & ignore some of the chaos. We're learning more & more about what sets him off & what we can do to help, but sometimes we just have to ride it out. Those are the times where you may see me at target with a completely distraught 4 year old on the floor screaming & crying. As he gets older it's a little harder to control because he can really hurt me if I try to restrain him. So I just have to let him ride it out, and try to speak calmly to calm him! Those are some of my worst moments, and kindness from strangers goes a long way when I'm dealing with a public meltdown. Carson thrives on routine. Everyone likes some consistency in life for sure, but Carson NEEDS things to be very much the same & what he's used to. He needs the same people to be doing the same things always in his life! 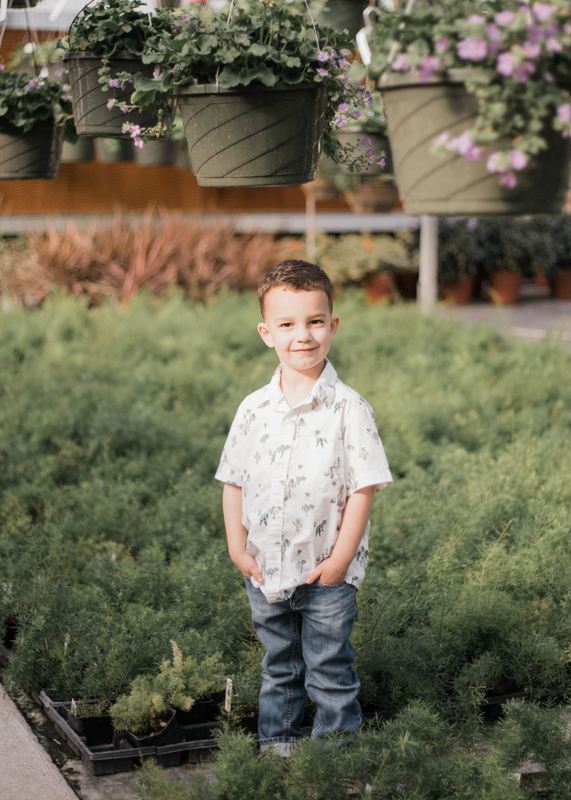 When preschool ended for the summer, it took him weeks to be ok with the idea of not waking up, eating breakfast, getting dressed, then getting on the bus. He would ask to get on the bus every day, and when I told him he couldn't he had a meltdown every day. He also gets very uneasy if I come upstairs while their dad is giving them a bath. In his mind, my job is to be downstairs cleaning & doing dishes while dad gives a bath, and if I throw off that scenario in his mind he can't handle it. We're learning now how to ease him into transitions & avoid meltdowns as much as we can! He's done surprisingly well when we travel and he makes more progress each day. Carson flaps his hands, bites his arm, and repeats words over & over. These are some of the physiological symptoms of his autism and are usually coping mechanisms for when he feels overwhelmed, excited, or doesn't know how to control/express his emotions. Hand flapping & arm biting in these circumstances is called stimming. They are forms of self stimulation and allow him to cope with a situation or feeling! We all do these kids of involuntary behaviors sometimes (biting your nails, tapping your foot, wringing your hands) but it's far less obvious because we are more socially aware & know people would be staring at us if our motions were too noticeable. With Carson, the arm flapping is kind of cute, because we know it usually means he's excited about something. The arm biting is pretty new, and so far he hasn't done it hard enough to hurt himself, but it's hard to watch & there's little we can do to stop him, other than tell him no every time we see him do it. Repeating words, or echolalia, is becoming less frequent for Carson, but he still does it some. When you ask him a question, instead of giving the answer he sometimes just repeats back the last word you said, sometimes over & over. He's getting waaaaay better at providing answers to questions, although they're still not usually complete thoughts. He also will sometimes say a word over & over until you repeat the word back to him. He'll say car, car, car, car, car over & over until you look him in the eye and say "car" back to him to acknowledge you've heard him. He won't accept any answer to this word repetition except repeating the word back to him. So if I responded to "car" with, "yes, we'll get in the car in just a minute" he wouldn't accept that and would continue repeating the word car. Carson has general developmental delays. I touched on this when talking about Carson not "catching on" to things, but because we have to teach him every step of every skill he knows, his learning has been slowed down. He understands concrete skills pretty well, like counting and memorizing, but he doesn't get abstract thinking very well. He can't generalize like most kids can. If you teach him that the stove in our house is hot, he wouldn't be able to infer that the stove in someone else house is also hot. Right now we're working on gender & teaching who's a boy and who's a girl. He knows that I'm a girl & he's a boy, but he can't take that information and infer that grandpa is a boy too, without us specifically telling him that. This has been one of the hardest aspects of his Autism. He is SO SMART. Once he's been taught a skill, we never have to teach it to him again because he's mastered it. But you don't realize how important inference and learning by watching is until you have a child that can't learn that way. And it's hard to realize that this will make school incredibly difficult for him. Carson attends special education preschool, has an IEP, and receives behavioral therapy. To help Carson learn as much as he can at this age, he goes to a SpEd preschool with a teacher who is very educated on kids with special needs. He has a speech therapist at school, and they take where he is developmentally now & sets goals to help him succeed at his own pace. That's where the IEP (individualized education program) comes into play. The school works with me, his teacher, the principal, and any extra aids like his speech therapist, to come up with an achievable plan for growth. We also have a behavioral therapist come to our house 3 times a week for 2 hours to teach him skills & help him cope. 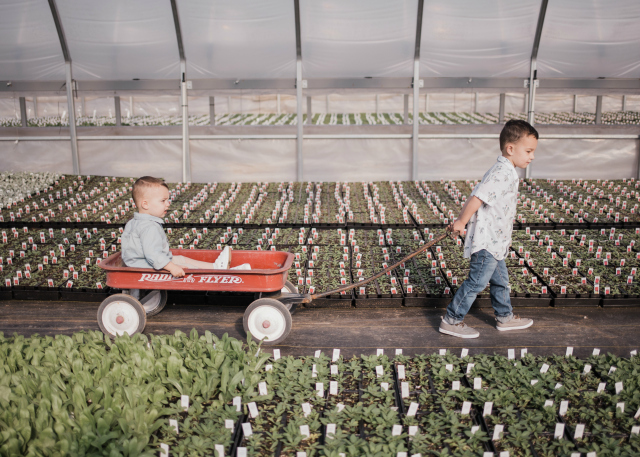 It's INCREDIBLE the amount of growth we've seen in Carson since attending preschool, and especially since beginning ABA (applied behavioral therapy). In ABA, they just teach him the things he's slow at learning like prepositions (in, on under, behind, etc), what a police officer, fireman, teacher, etc looks like, counting, matching, how to stop when a guardian tell you too, how to sit calmly & attend to an activity, how to recognize emotions, and on & on. And they use positive reinforcement for everything, so rewarding him when he does a task correctly, and not pushing him if he resists too much. I can't even express how much ABA has changed our lives and how grateful I am for it. ABA is very expensive, and though we have insurance, we will meet our out of pocket maximum every year we do his therapy. It's so worth it, but frustrating the financial toll it can take. There's honestly more I could tell you about the kind of Autism we experience with our little Carson, but this gives you a good overview of the day to day things we encounter. Carson is sweet and so kind. He has the best smile and loves to hug & cuddle. I always tell my husband that if Autism wasn't a part of Carson, he would literally be the most laid back, easy kid ever, because that's just his nature. The Autism gives us something extra to overcome, but he is such a trooper & just continues to learn more & more every day. If you have any other questions about our experiences with Autism feel free to shoot me an email or DM me on Instagram! I'm happy to answer what I can or direct you to resources. I love reading things like this, please keep posting! I feel like it makes me a more educated & compassionate person and helps me understand. When I took special ed. at BYU, my favorite quote from my teacher was, "if you know a person with autism, you know ONE person with autism". It's so complex!! Thanks for being open. Thanks for sharing your experience! Autism is close to my heart too! i love that you shared this. thank you for including us in your real life, your struggles, and your accomplishments.